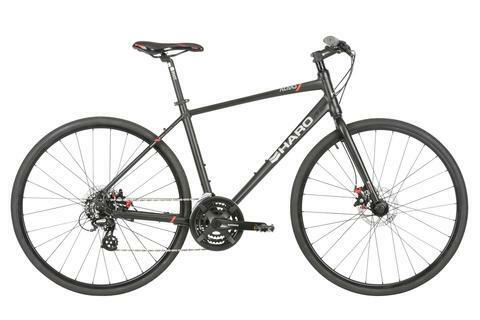 range of uses including commuting, fitness riding, recreational riding and good old fashioned errand running. Unlike its Solum Series counterparts, Aeras uses a rigid steel fork with disc mounts to increase pedal efficiency by preventing energy loss associated with excess fork movement. 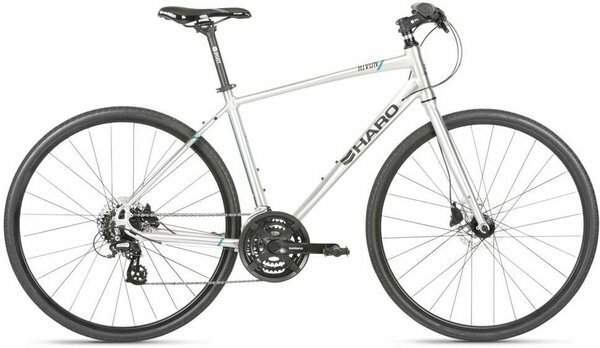 Aeras comes complete with a Shimano 21 speed drive train that includes EZ Fire shifters. Its wheelset is made from Pivit alloy 28h disc hubs laced to 700c alloy double wall rims and all weather stopping is made possible thanks to a pair of Tektro Aries mechanical disc brakes. 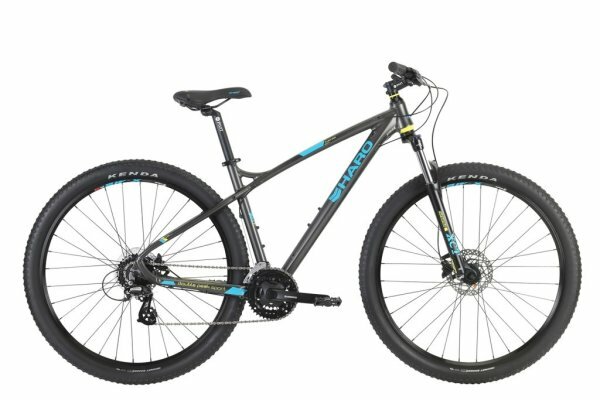 For the perfect fit the Rivon features Haro's proven Rider Optimized Geometry for the perfect fit and the 2019 Ventus series is your workout on wheels. It doesn't matter if you're headed to the gym, the yoga studio, or just a bike path adventure, the Ventus has you covered. Fully equipped with rack & fender mounts for versatility, you can switch from commute to exercise modes at the drop of a hat. Want to ride park, street, and trails? Haro's Midway can ride it all. 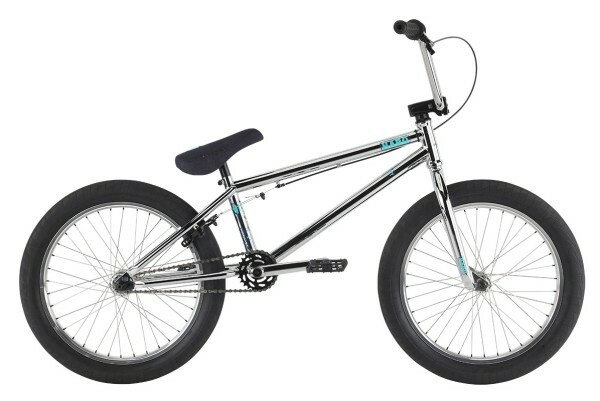 The Midway series starts with a strong steel frame and fork that hold up to all the hard hits from your tricks. 3-piece CrMo cranks power a compact 25/9 drivetrain which turn grippy Haro La Mesa tires. An 8.5-inch handlebar controls the whole thing and steers you into the right lines. 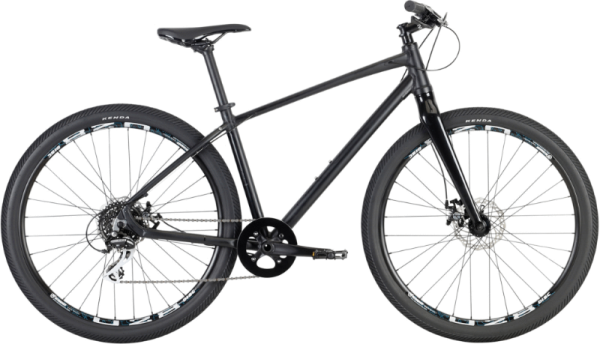 The lightweight Boulevard platform is built for flow with a straight cable rear brake, and with a 20.5-inch top tube, you get a bike that fits not just your height, but your style as well.